4 days shelf from dispatch? 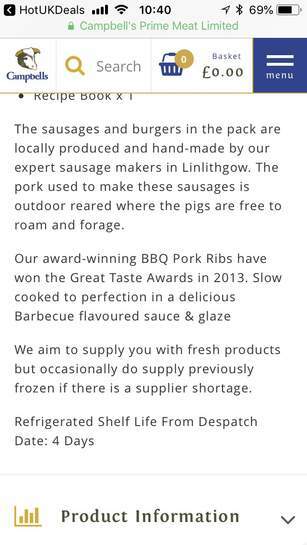 Buy from Campbells at your peril. Their meat is absolutely awful. 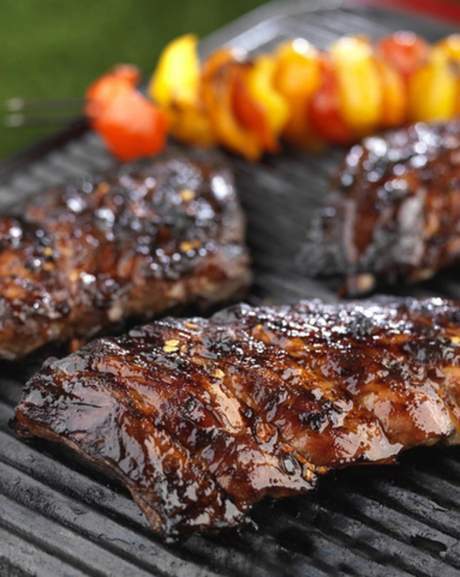 Ribs are the same as the boxed ones you can buy from aldi and lidl to stick in the microwave, minimal pork content in the sausages, burgers are mini, note the word mini here and you can get the flava marinade from the likes of b and m for 20p. 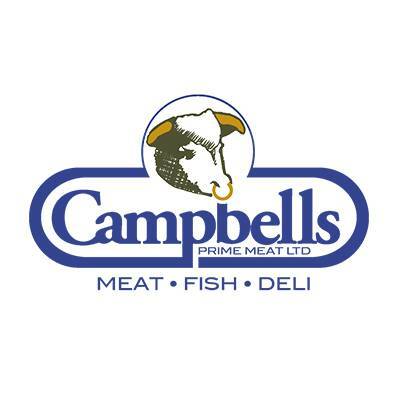 Complete rip off, i've stopped using Campbells due to misleading information and their total inability to follow simple packaging butcher requests. Seriously, do not bother.